Hello friends and welcome to the Altenew March 2019 Stamp/Die/Stencil/Ink Release Blog Hop + Giveaway. This release is another amazing one. I can’t get enough of the gorgeous designs Altenew comes up with. The layout I’m sharing today features the Prettiest Pomander Stamp Set and coordinating dies. As the name says, the cluster of flowers and leaves of this set is absolutely the prettiest – you’ll see several ways of using it throughout the hop. I started by stamping the image several times with the following Altenew Crisp Dye Inks: Pink Diamond, Pinkalicious, Rubellite, Razzleberry for the flowers, and Just Green for the leaves. I then chose a gorgeous background from the new Live Your Dream Scrapbook Collection and cut a huge layered daisy with my Cameo. I knew the photo would go in the center of the flower and thought it would be pretty to frame it with the pomander images. I adhered the first daisy down towards the bottom left corner of the page, placed the photo in the middle, then created a second layer with the pomanders, and finished it with the smaller daisy. To balance the layout, I also arranged another daisy in the opposite corner. This time I heat-embossed the Prettiest Pomander with Altenew Antique Gold Crisp Embossing Powder, and placed it in the middle. To finish the page, I added several embellishments from the Live Your Dream Collection and black paint splatters. Now onto the prizes! To celebrate this release, Altenew is giving away a $50 gift certificate to 6 lucky winners! 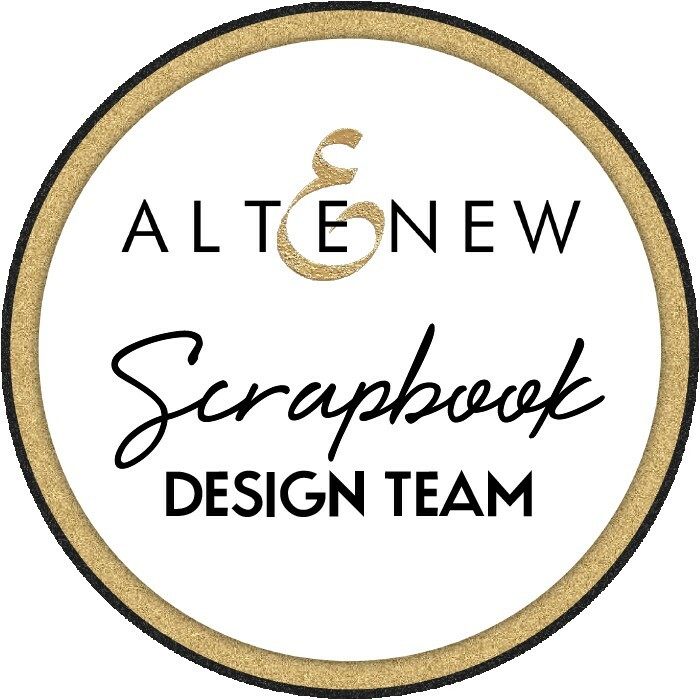 Please leave a comment on the Altenew Card Blog and/or Altenew Scrapbook Blog by 3/19/2019 for a chance to win. 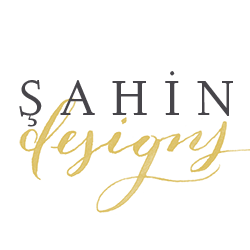 They’ll also draw a winner to receive a $20 gift certificate from the comments left on each designer’s blog. All winners will be announced on the Altenew blogs on 3/23/2019. Your next stop is Amber‘s blog. Happy hopping! Hello, Pinkfresh friends! Today I’m back to share two new layouts using the gorgeous Joyful Day collection. I’m in love with the soft colors and patterns of this collection – it’s just too pretty for words. I used exclusive Pinkfresh Studio cut files for both of my pages. You can find them in the Pinkfresh Studio Fan Group FB page. The first layout features the new Spring Floral Trio cut file. The cluster of flowers was perfect for what I had in mind. I cut the image three times, slightly varying the size for a more realistic look. I backed them with several patterned papers; for the leaves, I used True Story, while for the flowers I mixed Perfect Moment and both A and B side of Just Right. Once ready, I adhered them to my background, for which I chose the Small Beginnings patterned paper, with foam adhesive – I’m a big fan of dimension and always try to achieve it on my pages. To add more interest and even more dimension to the flowers, I placed other flower images in the center, mixing die-cuts, chipboard and puffy stickers. I then created layers behind my photo before gluing it down, and tucked die-cut sentiments in between. To embellish it, I added one of the super cute paper clips, the Happy place banner sticker, and the lovely bow, which fit perfectly in the top left corner. The puffy sentiment stickers are so fun to use as titles; here I used the “adore” one, to which I added the “you” below with the Mini Alpha Puffy Stickers. Enamel dots and black paint splatters finished the page. For the second layout, I used the Simply Leaves Square cut file. I didn’t want it to take the full background and cover the gorgeous blue of the Frest Start patterned paper, so I just fussy cut the branches and arranged them in a diagonal on my page. I love how the white cut file pops against the darker background! A lot of layering going on on this layout as well. I printed my photo in black and white as well as in color, and used this second one as my first layer; I then cut the floral wreath ephemera in two and arranged it on opposite corners of the photo – I did the same with the round scalloped chipboard frame. I used several dimensional stickers to embellish the right side, and added two paper clips and puffy sticker leaves. Following the diagonal design of the cut file, I filled up the page with lots of gorgeous decorative pieces. I combined chipboard stickers, die-cuts, wood buttons, fabric banners and enamel dots. White paint splatters finished the layout. Thank you so much for stopping by! I love how these layouts turned out and hope to have inspired you to create with the gorgeous Joyful Day collection and the exclusive Pinkfresh Studio cut files. Hello friends! I’m very excited to share two layouts with you today using the gorgeous Indigo Hills 2 collection. I love the deep tones and gorgeous floral elements of this collection; they are just too pretty, and I wanted to include as many as I could in my designs. 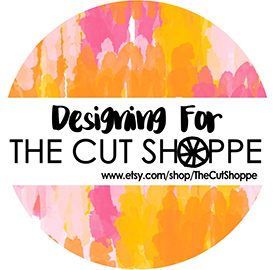 When it comes to incorporate a variety of colors and patterns, cut files are my go-to tools. For the first layout, I used the Flower Heart cut file by Paige Evans. I cut it from white cardstock and backed it with the following patterned paper: Eminence, Gorge, and Ridge. I left some of the flowers as is, so to have the rich color of the Meadow paper come through. Once I had the cut file ready, I adhered it in the center of the page with foam adhesive for dimension. I then cut my photo to fit one of the frames in the Chipboard stickers set – I love how the colors in the photo match the ones in the collection perfectly! I layered a few die cuts and a sentiment from the Ephemera pack in the lower left corner of the frame; to add more interest in the same spot and draw the eye to it, I fussy cut some foliage from the Meadow paper and tucked it behind the cluster. I created a similar cluster in the opposite corner, with fussy cut flowers from the same paper. As a finishing touch, I added enamel dots in coordinating colors. For my second layout, I went with huge flowers. Once again, lots of layers and dimension. I resized the cut file (ID #26942) a few times in order to create a more natural look. I grouped the flowers in a big cluster towards the left side of the page, alternating colors and sizes. To fill in the empty spaces and brighten the background a bit, I added some gorgeous flowers from the Ephemera pack. For the photo, I used the same scalloped frame as in the first layout, and built several layers behind it before adhering it down with foam adhesive. You can see the fussy cut leaves from the Meadow patterned paper and a few die cuts in the lower right corner of the photo. That’s all for today. Thank you so much for stopping by. I hope I have given you some ideas for your next scrapbook layout.